The Brazilian government has launched a consultation on the future of CGI.br, the body that sets internet policy in the country. Some fear that the Temer administration is trying to gut it. Daniel Arnaudo is a fellow at the Igarapé Institute and the University of Washington and Robert Muggah is the research director of the Igarapé Institute and the SecDev Group. Brazil’s internet is once again under assault. This time it is the government, and not cyber criminals or hackers, leading the charge. 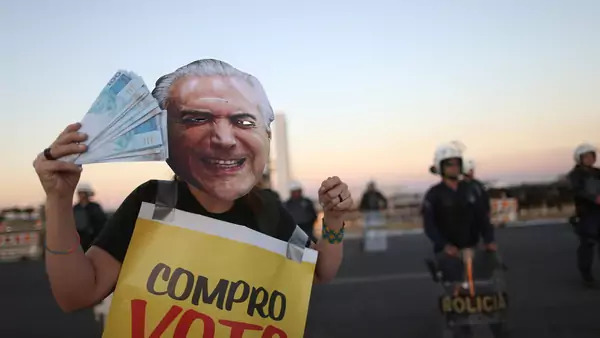 Last week, the Temer administration signed an order to open a public consultation to alter the "composition, election process and the powers" of Brazil’s Internet Steering Committee, better known as CGI.br. The move is the latest in the government’s effort to exert more control over the Brazilian internet. Since its inception in 1995, CGI.br has played a central role in the creation, maintenance and governance of the Brazilian internet. It is a multistakeholder organization, comprised of representatives from government, including the country’s telecom regulator ANATEL, the private sector, academia, and the technical community. The government representatives likely got a heads up that the consultation was coming, whereas the non-government representatives were caught flat footed. CGI.br is central to the balanced and fair management of Brazil’s internet. It sets the governance mechanisms of the critical infrastructure that powers the internet in Brazil. The Committee also serves as a technical resource to legislators and the executive, especially on issues related to network neutrality, data protection, universal access, and privacy online. It was essential in shaping the law known as the Marco Civil da Internet, which set a common regulatory framework for the Brazilian internet and guarantees Brazilians’ rights online. Yet CGI.br also poses a threat to some elected officials who would prefer less scrutiny over internet policymaking, not more. The Temer government’s consultation is widely seen as an effort to curb the powers of CGI.br. Brasilia has steadily pushed to weaken the Marco Civil’s protections since it came into power in 2016. A number of politicians, pushed by private sector lobbies, are openly hostile to user privacy, network neutrality, and universal access. This is not the first time the government has tried to undermine CGI.br. Earlier this year, it froze the nomination of the Committee’s civil society members, only backtracking after sustained public outcry. The Brazilian government’s hostility toward CGI.br and the Marco Civil drew fire from a coalition of non-profit groups at the UN-backed Internet Governance Forum in December 2016. To be sure, CGI.br could improve. The Committee’s structure has been largely unchanged since 2003, when it was last reorganized by presidential decree. There is consensus within and outside CGI.br that it needs a representative from the content industry, even if there may be disagreements on who precisely should be nominated to assume that post. Some on the government side would prefer a representative of traditional media such as the Motion Picture Association that would lobby for stronger anti-piracy measures. Civil society groups may be more inclined toward a representative from a non-profit such as Wikipedia. If the government moves ahead with the public consultation, it will have already defined the terms of the process without input from either civil society or the Committee. CGI.br should play a central role in managing the consultation given its extensive experience managing similar requests for comment on network neutrality, data protection, and the Marco Civil. It is still an open question whether the government has an interest in fostering a genuinely open, transparent and democratic process of reform. The rights and freedoms of over 100 million Brazilian internet users hangs in the balance. The Temer government is not just trying to undo the principles and regulations that keep Brazil’s internet vibrant, but also the entity central to their preservation and defense. Ideally, the government would change course and withdraw the consultation process. If it does not, then citizens across Brazil must fight to ensure their voices are heard.